O-M-G! That can't be right!! Do you feel enslaved by your energy retailer at the end of each seasonal quarter? Tired of working hard only to pay a fortune or your home life? Do you cringe at the thought of your next energy bill arriving? You are not alone! Many people feel exactly how you do when it comes to receiving and paying their energy bill. Some even go into "bill shock"- the inability to concede that they are charged so much for the energy they have consumed. It's all going to be okay. Why? 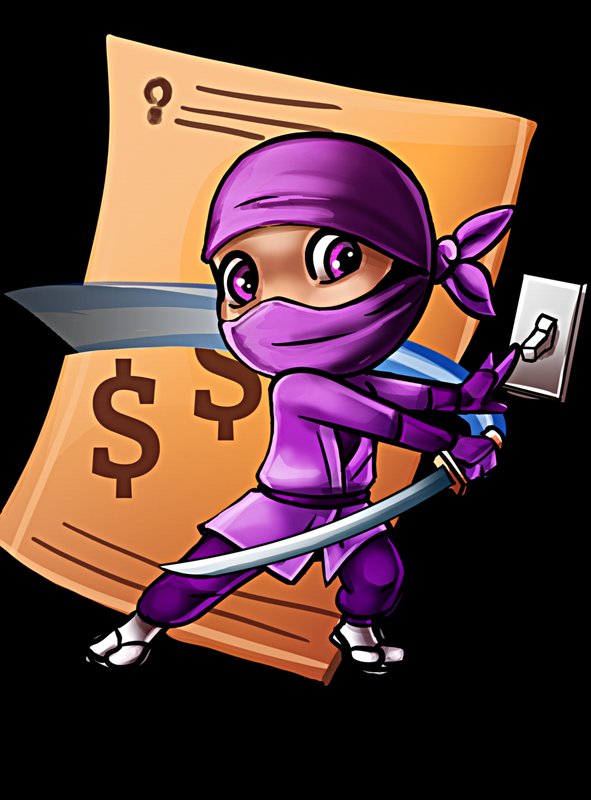 The Energy Ninja is here to help you to become the master of your energy and slash those bills for good! I have been assisting people in Sydney's North Shore with understanding their electricity bills, how to achieve a better outcome with their retailers, and reducing their energy use for over seven and a half years. My approach is the old fashioned face to face real time energy assessment that tailors advice specific to your household and their needs. I use modern technology to show you how certain aspects of your house uses energy and provide suggestions on what could be the best "fit" for you so you can reduce your energy usage, remain comfortable and pay less in the future. Saving energy and your hard earned money is easy with Energy Ninja. Helping to change or save the life of a child with epilepsy or neurological condition is even easier when you make a booking with me. For every consultation I provide regardless of the package, I will donate a portion of that fee back to one of the two charities listed. You will have the choice to choose either one or both charities, as they are both very worthy causes. For more information and to make a booking click here.